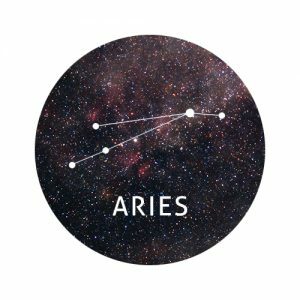 Are you dating someone who just won’t commit to you, Aries? If you really like this person, you can’t wait around for them to fall in love with you. There’s a risk it might never happen, no matter what tricks you have up your sleeve. Be honest about your feelings one last time. If you don’t get the result you want, walk away. It may feel hard now but you’ll thank yourself when you meet that special someone who’s just as crazy about you as you are about them. Already in a relationship? You might have commitment problems of your own. And by this we mean that you may be afraid to make exciting or bold changes in your lives. Whether you’re thinking of moving in together or you’re wondering whether to ask for promotions at work, work together to egg each other on. It’s often said that two heads are better than one, so make teamwork your number one priority this week. Are you desperately trying to get over an ex partner? You won’t get anywhere if you keep in touch. Have you heard Dua Lipa’s new song ‘New Rules’? Follow her advice. Don’t talk to your ex on the phone, don’t let them into your home, and don’t stay friends. Perhaps there may come a time when you can become pals again, but that can only happen if you’ve both moved on with your life and you no longer have feelings for one another. Cut all contact with this person until you’re so uninterested in them that the thought of being friends doesn’t even excite you anymore. If you’re already coupled up, make sure you embrace your independence this week. Being inseparable may feel like a great indicator of the strength of your relationship, but you each need to be able to function on your own. This week, spend time with your friends, pick up a new hobby and explore new avenues for your career. Spending time apart will only make the time you’re together that little bit sweeter. 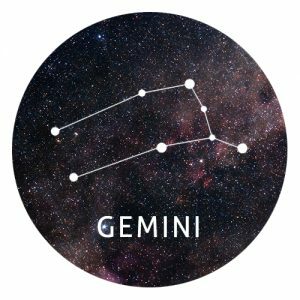 Are you carrying some serious baggage around with you, Gemini? It’s only natural for problems from our past to affect the way we think and behave in the future but if bad memories from old relationships are haunting you or preventing you from having happy relationships with new people, it’s time to unpack your baggage and move forward. Take a break from chasing new romances this week and focus on learning to love yourself. What makes you special? What are your strengths? What do people love about you? When you learn to love yourself, you’ll find it so much easier to forgive those from your past and start afresh. Loved up? Make sure you and your partner are focused on the ‘now’ rather than the past or future. Reflecting on the past can help us move forward but too much rumination can be a cause for concern. Meanwhile, if you spend too much time daydreaming about your life in the future, you may forget to make the most of life now. 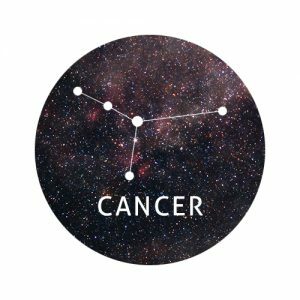 Do you really have a crush on this person, Cancer, or are you just desperate for a relationship? Being in any relationship may seem preferable to being single, but this attitude isn’t fair on you or the person you settle for. Waiting it out for someone you’re really crazy about will change your life for the better. When you find real heart-stopping, breathtaking love, you’ll thank yourself for being picky! If you’re in a relationship, you may have to work on reigniting the spark between you. It’s perfectly natural for the excitement to die down when you’ve been together for a while, but working on making things fun and fresh again can give your bond a new lease of life. Do you have a list as long as your arm of all the things you’re looking for in a partner, Leo? Don’t get too obsessed with finding someone who ticks all your boxes. Of course, there’s likely to be some non-negotiables, but do you really need someone who loves the same TV shows as you do? Do you really need someone who can speak two languages? Do you really need someone who comes from the same background as you? Sometimes, real love can catch us off guard and we can find ourselves falling for people who don’t fit our usual ‘type’. By opening your options just a tiny bit, you’ll find it easier to meet the right person for you. In a relationship already? You and your partner may squabble over your differences this week. Some of these quarrels might be small but others could evolve into full blown arguments. Try to sympathise with one another and see things from your partner’s perspective. By being a little more understanding and open to compromise, you can avoid placing unnecessary strain on your relationship. Whether you’re in a relationship or you have a crush on someone, pay close attention to any red flags that appear this week. Whether you see a side to your partner/crush that you’ve never seen before or you have a huge difference of opinion when it comes to an important matter, it’s up to you to use this information wisely. Sometimes our intuition screams at us and tries to convince us to make a change. If your intuition is yelling ‘something isn’t right here’, it’s crucial that you stop and listen. Be proactive in your response. Don’t worry – a break up isn’t necessarily on the cards. Instead, a serious conversation may be needed to ensure you and your partner are both on the same page and want the same things. Have you been peeking at an ex’s Instagram account? If so, pay attention to how this makes you feel. 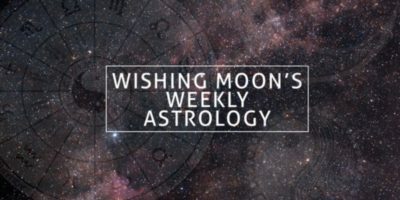 If you feel jealous or upset, this may suggest that you’re not fully healed from your break up – even if you’re in a new relationship with someone special. Your obsession with the past could be a sign that you’re subconsciously trying to hold yourself back from future hurt and pain. It’s also likely to be a sign of insecurity. If you don’t love yourself, you’re going to struggle to find the love you deserve with someone else. It could take you a while to feel better, but the first step involves deleting, blocking or muting this person from social media. The more time you spend ruminating and obsessing over what has been and gone, the more you deprive yourself of happiness in the present and the future. Are you blaming yourself for someone else’s behaviour, Scorpio? Beating yourself up for the actions of your partner (or prospective partner) will only dent your confidence and prevent you from being your true self. If the person you love or care about is acting up, they need to take responsibility for their actions and you need to hold them accountable. If you keep letting them get away with it, nothing will change, the same problems will repeatedly emerge and the vicious cycle will continue. This week, work on your communication skills – and make sure your partner works on theirs too. Otherwise you’ll keep going around and around in circles. If this person isn’t your partner yet, it may be time to ask yourself whether it’s even worth the hassle. Maybe this is all just a way of the universe telling you you’re incompatible. 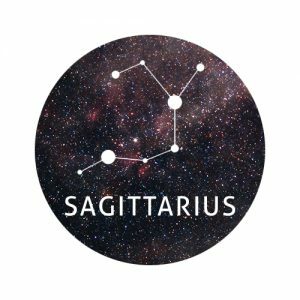 Don’t underestimate the importance of financial compatibility, Sagittarius. Even if you’re crazy about each other, you spend every day howling with laughter, and you want to spend your lives together, if you have completely different attitudes to money, this could be a sign that it’s just not meant to be. Opposites can of course attract, so if you’re able to work together and find harmony, this could be a match made in heaven. But if you find yourselves bickering over who has spent what or you want very different things in life, this could be an indication that you’re gradually headed in different directions. If you’re single and looking for love, step outside of your comfort zone this week, Capricorn. Create a profile on a new dating app. Go speed dating with a single friend. Ask out that person you’ve had your eye on. Be brave and take charge of your love life. By making your quest for love your number one priority in life, you’re sure to open up exciting opportunities for romance. You won’t necessarily find The One this week, or even this year, but you’ll lay the groundwork for a love-filled future. 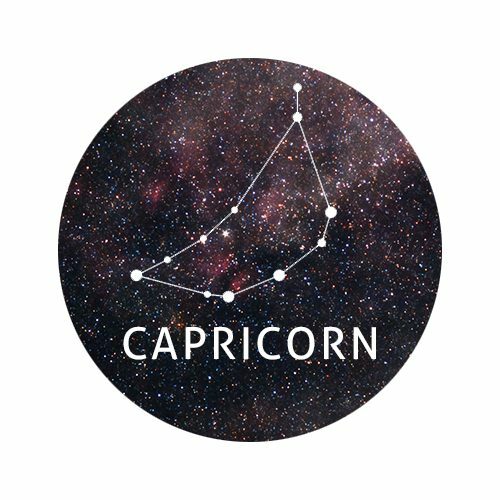 Your time will come, Capricorn. You may have a bumpy ride ahead, but everything will fall into place exactly when it’s supposed to. Don’t make the mistake of thinking you’re out of their league, Aquarius. I bet you wouldn’t dream of picking a partner based solely on their looks, so why are you acting as though their looks are the most important thing about them? Why are you pretending your looks are the most important thing about you? When you assume that someone is out of your league on looks alone, you’re saying to yourself that you have nothing else to offer. Well guess what? You have tons to offer. You’re beautiful inside and out! Life has a funny way of putting things into perspective years after we think we’ve figured it all out. If things don’t work out with the person who you deem to be ‘out of your league’ we guarantee that somewhere down the line, you’ll look back and wonder what all the fuss was about. You’ll wonder what you were thinking. Hopefully, by then, you’ll be equipped with the self-confidence you need to have faith in yourself. You have a secret admirer, Pisces. There’s just one problem… you’re unlikely to be as interested in this person as they are of you. Let them down gently and don’t toy with their emotions. Even if you feel like dipping your toes in the water and seeing what happens, if you’re fairly sure that they’re not the one for you, it’s not worth wasting your (or their) time. A romance dry spell may lie ahead but trust us – it will be worth it in the end. In a relationship? If you find yourself ‘innocently’ flirting with someone else, question what this means. Are you happy in your relationship? Are you looking for excitement and uncertainty? If you love your partner, it’s time to call it quits with the flirting, not the relationship. Make an effort to do new things with your partner and break out of your mundane routine.